"It's super easy to identify a photo. 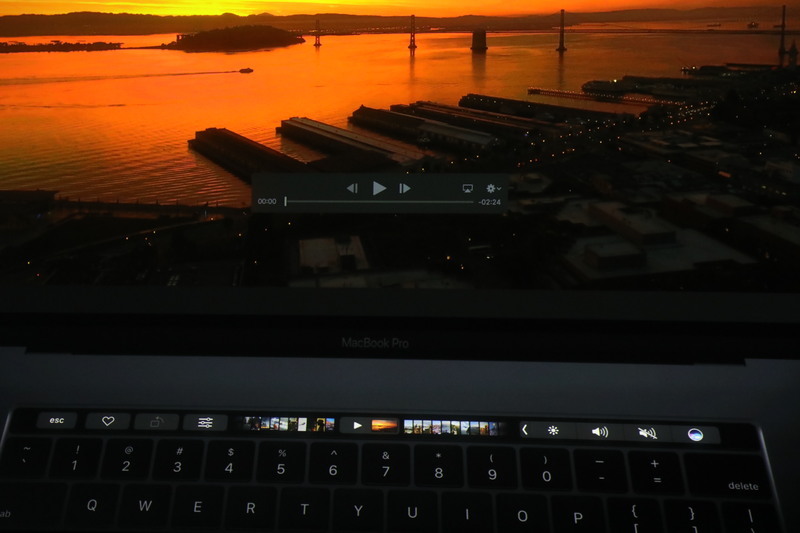 This is a video, and I have playback controls right on my Touch Bar. Scrubbing control." 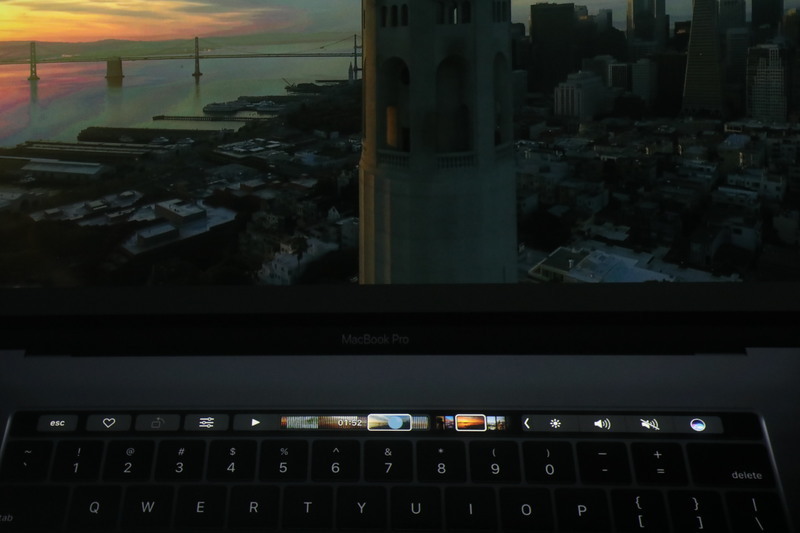 "Touch Bar's also great for making quick edits. 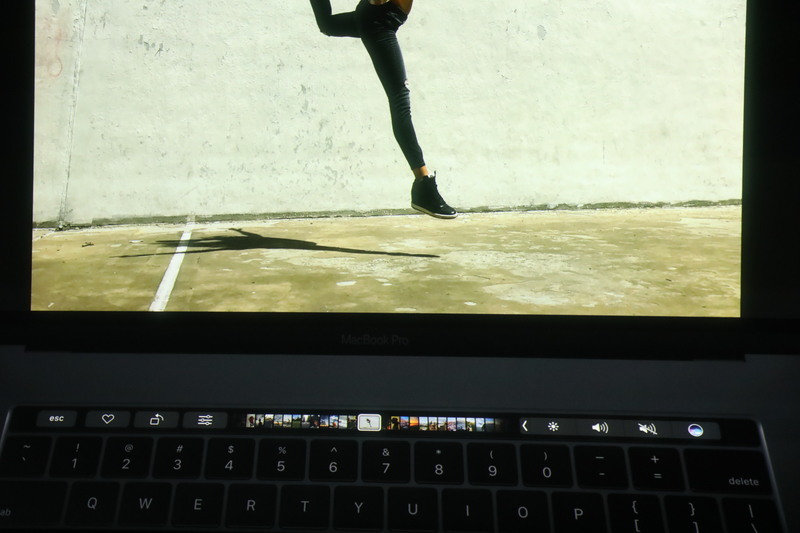 If I go to a photo like this I want to rotate, there's a control for that on Touch Bar." "Can use my leveling control. I can perform adjustments to lighting, for instance. Tap into light slider. Go lighter or darker. Can also apply effects and filters." "Tap through, look at different effects, tap one I like." "Those are a great set of edits right there." 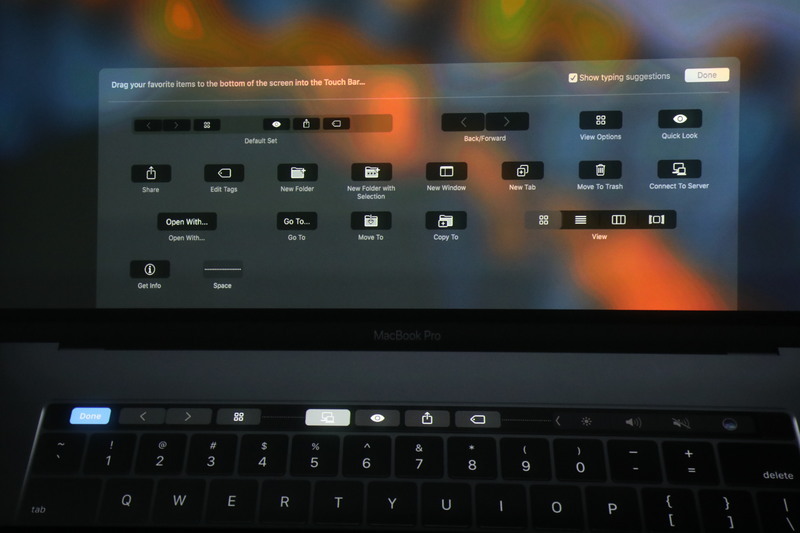 "Touch Bar obviously has some amazing out of the box controls"
Now this idea of using the Touch Bar as a scrub bar or jog wheel for photo and video -- that's an interesting counterpoint to yesterday's Microsoft Surface announcements, including the Surface Dial. 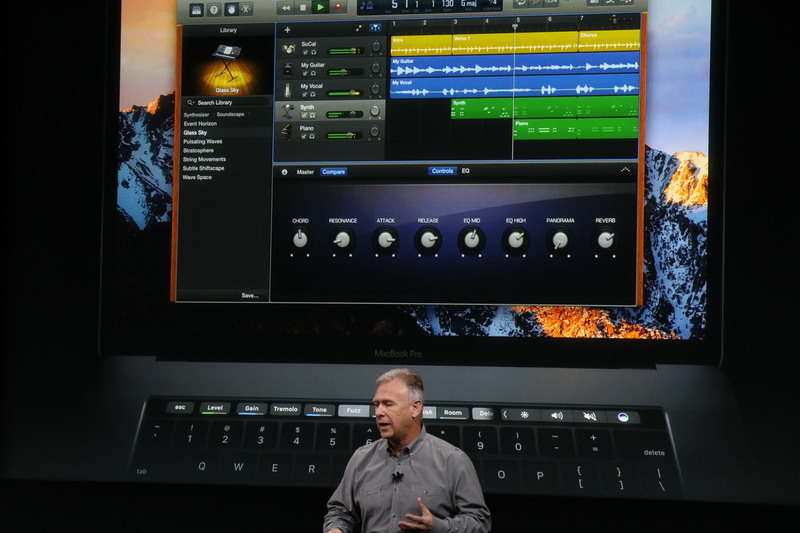 "But Pros like to customize their Mac. 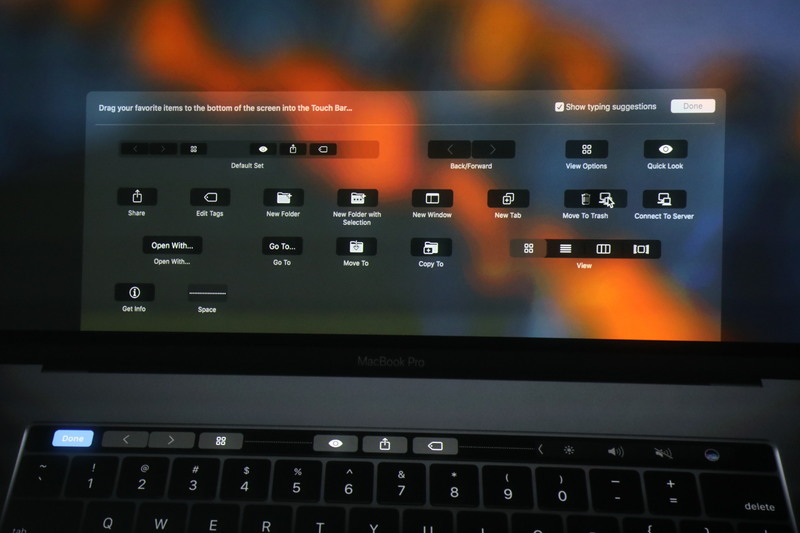 In finder, .. but maybe I want to do something, now I can customize my Touch Bar." "Cool new screenshot control. 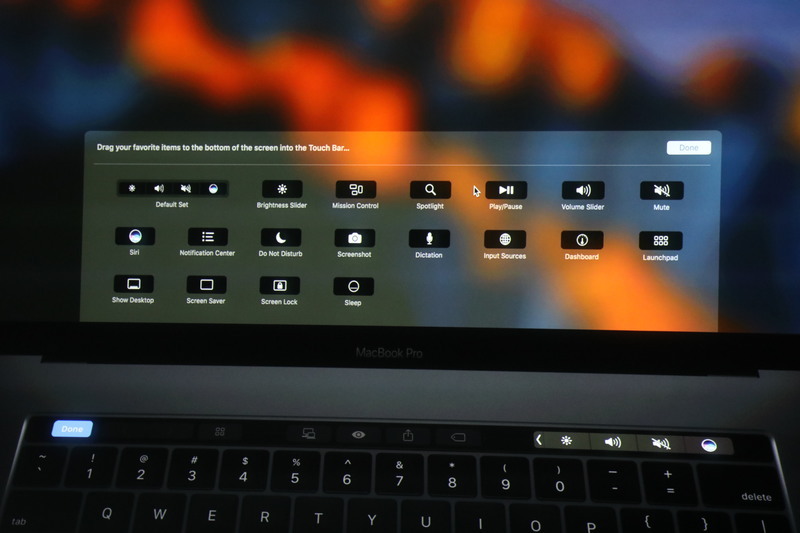 Drag it down, place it where I want it, and just like that, I've customized my Touch Bar." "Back to TouchID." 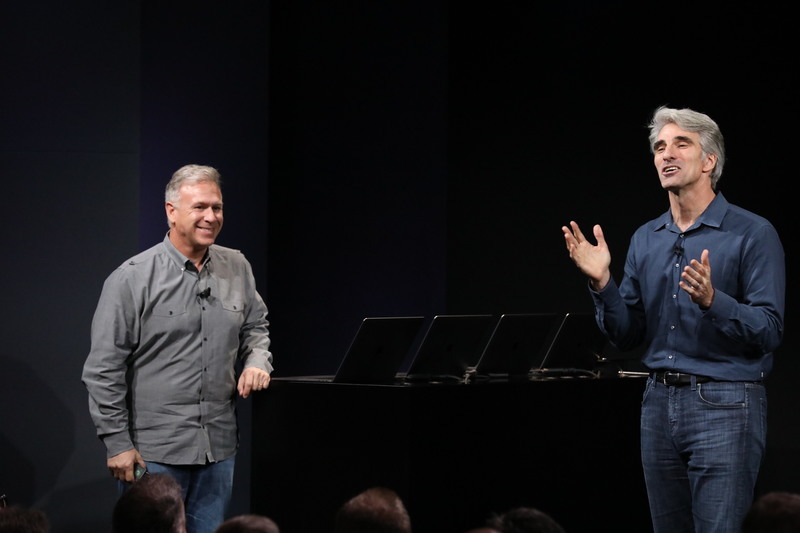 Phil Schiller back on stage to help with demo. "Phil has enrolled his finger in Touch ID. When he places his finger on the Touch ID it recognizes him and switches." Love the user switching to different profiles via Touch ID. Just put your finger on it and it switches to your desktop profile. Why can't we do that on iPad? iPhones generally aren't shared, but iPads are. 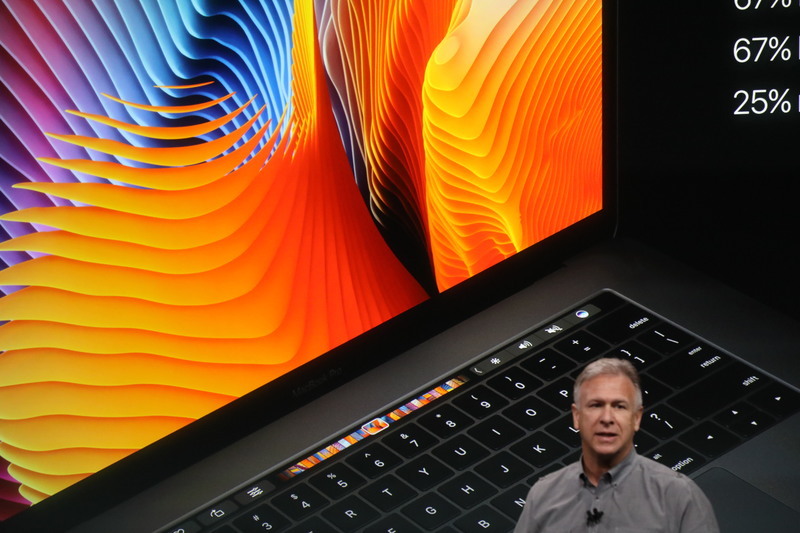 "Now it's so much easier to search for things in Maps with Touch bar. 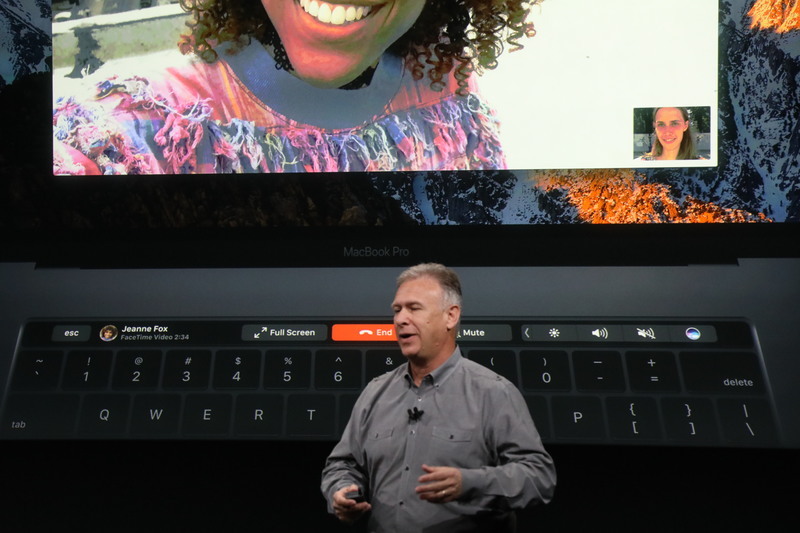 So easy to answer a Facetime call, zooming through weeks in calendar, built into pages and keynote and numbers. 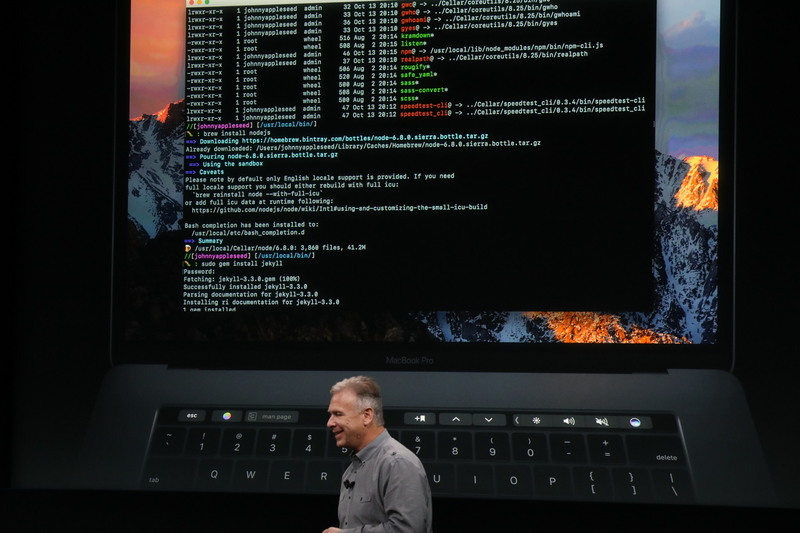 Awesome when editing videos"
"we've even built TouchBar support into the ever popular Terminal." 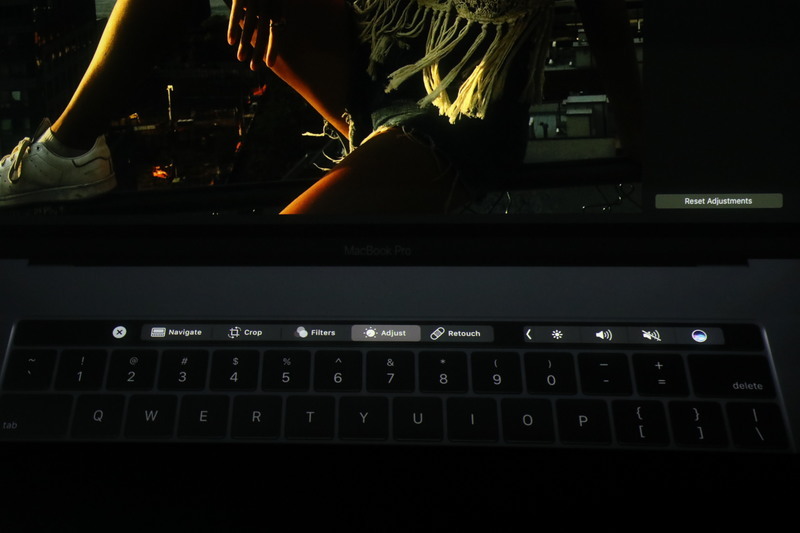 "There are so many great uses for the Touch Bar. It changes the experience we have on the Mac. "Now turn to the display. Simply the best display we've ever made." 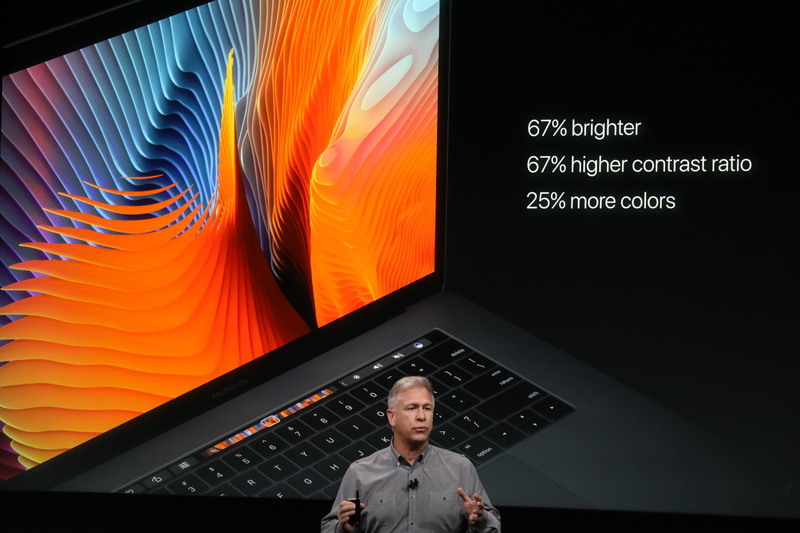 "Every MacBook Pro is the most powerful MacBook Pro we've ever made." "Here's an example of what you can do with this incredible system. First you want to add a display. Brand new LG display we worked together with them on. LG Ultrafine 5K display." 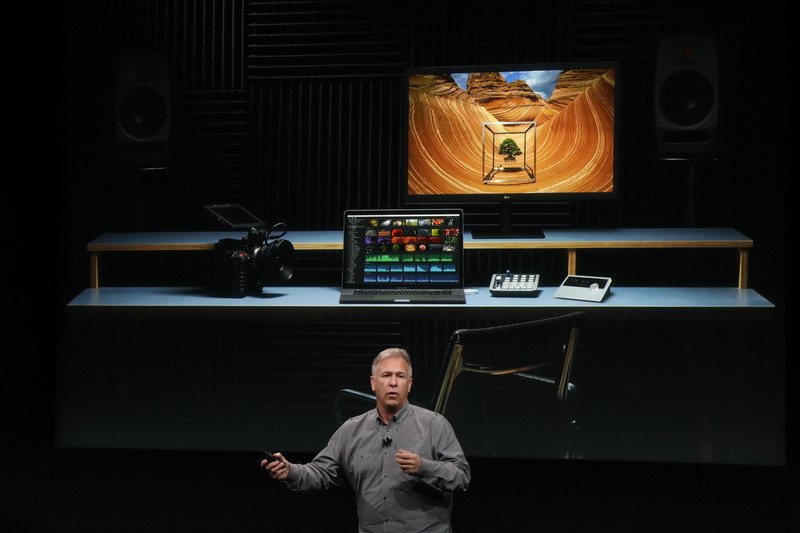 "Displays 5K resolution, wide color, built in cameras and speaker." Apple refers to these ports as Thunderbolt 3, oh, and it's in a USB-C form. 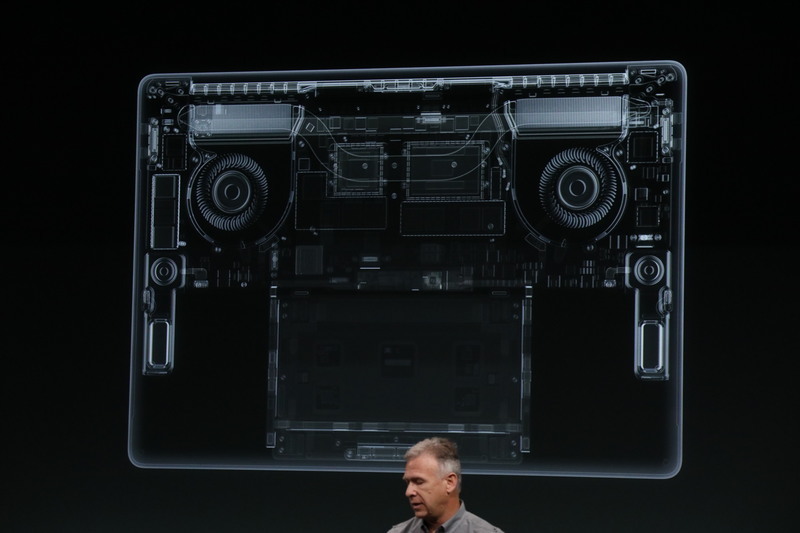 Most people will see these as USB-C ports that do Thunderbolt, power, video output, etc. 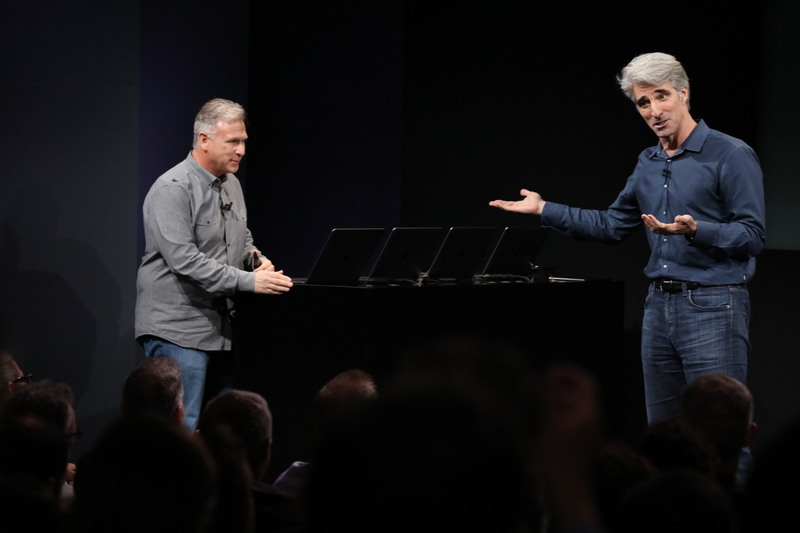 "All of that connects to your MacBook Pro over a single Thunderbolt cable."